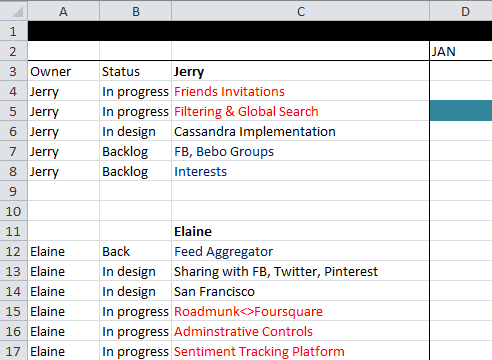 This article shows you how to transition a roadmap created in Excel to a Roadmunk roadmap. 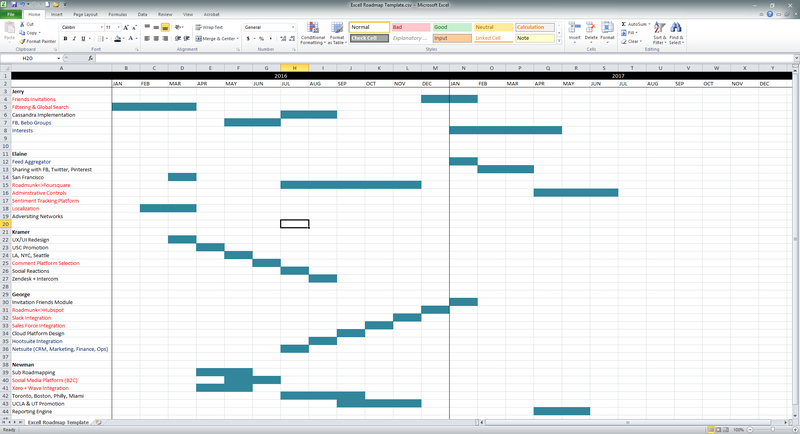 Here's a snapshot of what a typical roadmap spreadsheet in Excel looks like. The next step is to format the data in the spreadsheet by putting the pivot data identified in the previous step into separate columns for import into Roadmunk columns. Here's a snapshot of what the data might look like before the formatting changes. And here's a snapshot of what the data should like after the formatting. a Status column identifying the status of each item (e.g., In progress, Completed). 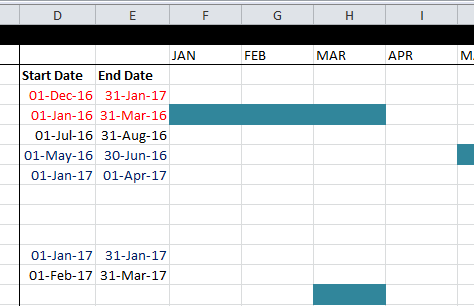 The next step before the import is adding real start and end dates for each date range represented in the spreadsheet using colored cells. 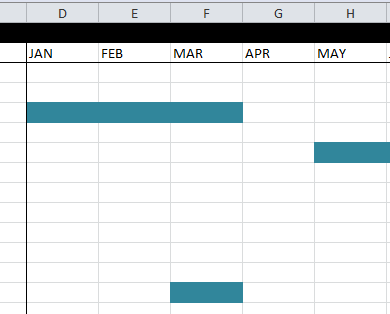 The added dates should be formatted as Numbers, and the format should be consistent across all items. 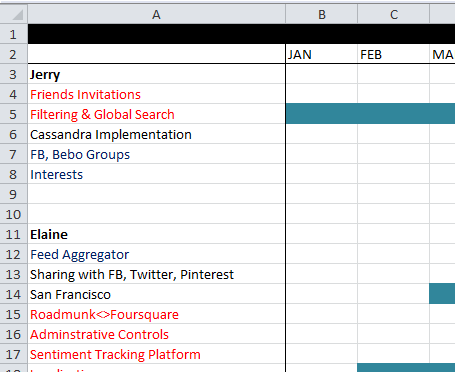 Here's a snapshot of what the spreadsheet might look like before adding the dates. And here's a snapshot of what it should look like after adding the dates. NOTE: For the import to Roadmunk to be successful, each item in the Excel roadmap must have a Start and End Date. Even if you don't know what an item's dates are, add a best-guess date. You can always change this once the date is in Roadmunk. Start Date and End Date columns, containing the start and end dates of each item, formatted as Numbers, and using a consistent format. Finally, save the Excel file as a CSV and import it into Roadmunk following the instructions in Import items from CSV.